-- Select a Size/Color -- 8-12" - Out of Stock! 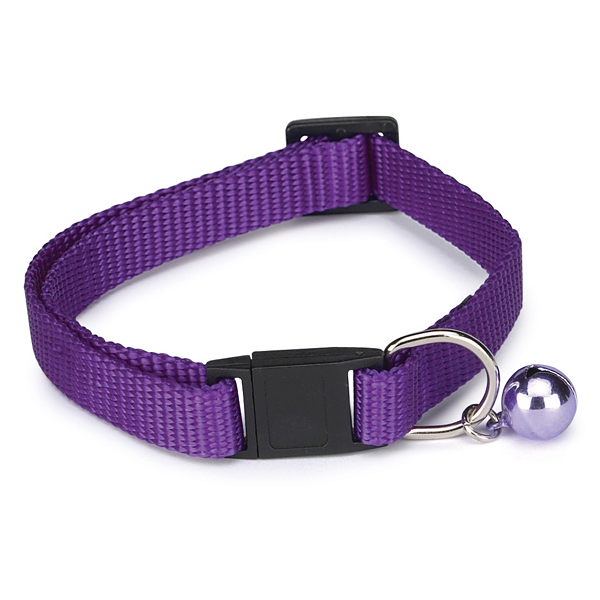 Give your kitty lasting fashion with our Nylon Cat Collar in Sparkling Grape. Nylon Cat Collar - Sparkling Grape Customer Photos - Send us your photo! Cecelia is an elevan year old Kitty girl that enjoys listening to her collar bell jingle. It makes her smile! Another Simple & Awesome Product! Posted On 08/30/15 by Taney D from Barker, NY Yes, Taney D recommends this product! A short time ago we wanted our furbabies to have "bling" on their collars. With in 2 days, they both lost them on their backyard travels. Back to the old ones :-( Finally, we needed something new and durable. So far so good! Been on the babies over 2 days now and they seem happy and content. They nylon will hold up to their travels in the back for sure. Thanks again Baxter Boo for keeping the kitter-cats in collars!! Posted On 06/02/15 by pawz up from , FL Yes, pawz up recommends this product!